Working backward from today, here's a little update on what's been going on in the MacDonald household. 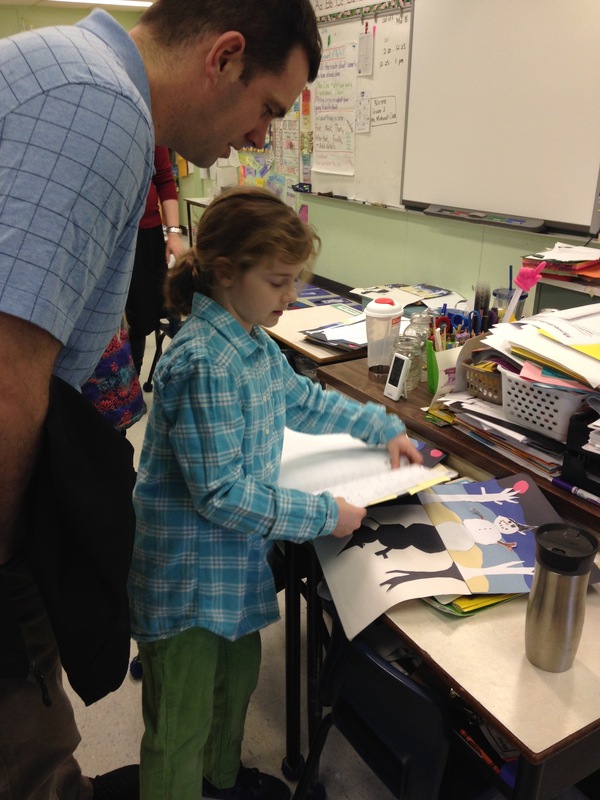 Today was 'parent teacher day', but specifically what's called a 'student-lead-conference' at the girl's school. They took turns taking us through all their activities for the semester, and had chosen their favorites to show us. It was quite impressive to see how old the girls are getting and the concepts they are learning in school, some a quite challenging and even new for their parents! 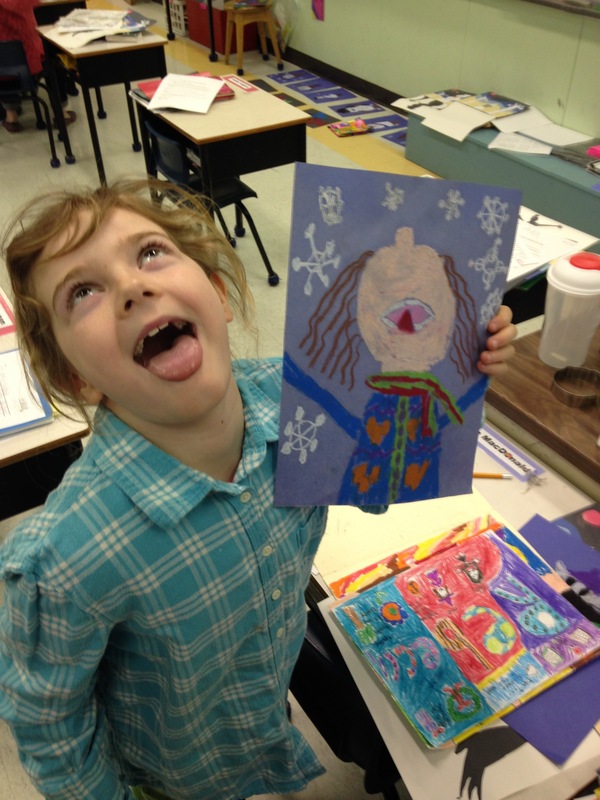 In the above photo, Rebecca's showing off her art projects. This one appears to be a self-portrait. 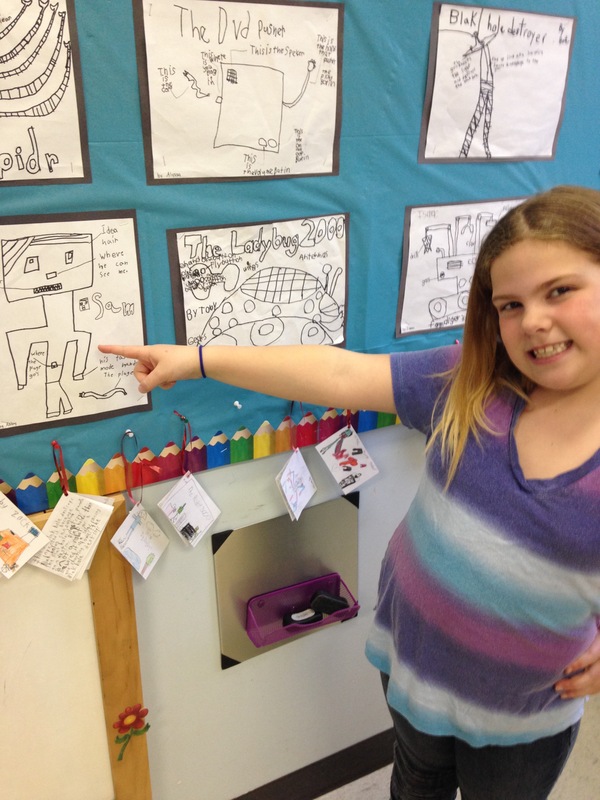 Below, Abby is showing us her Robot creation. Notice the hair which stores memory. Here's Rebecca going through her checklist and showing us her favorites in each subject. 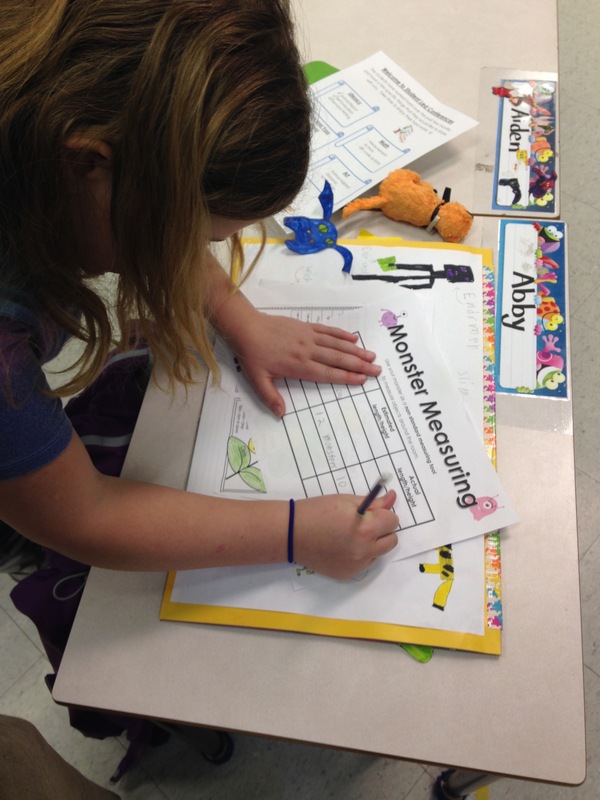 Abby had some fun activities for us by estimating and measuring objects with her little blue monster. She stumped me on the size of the garbage can! 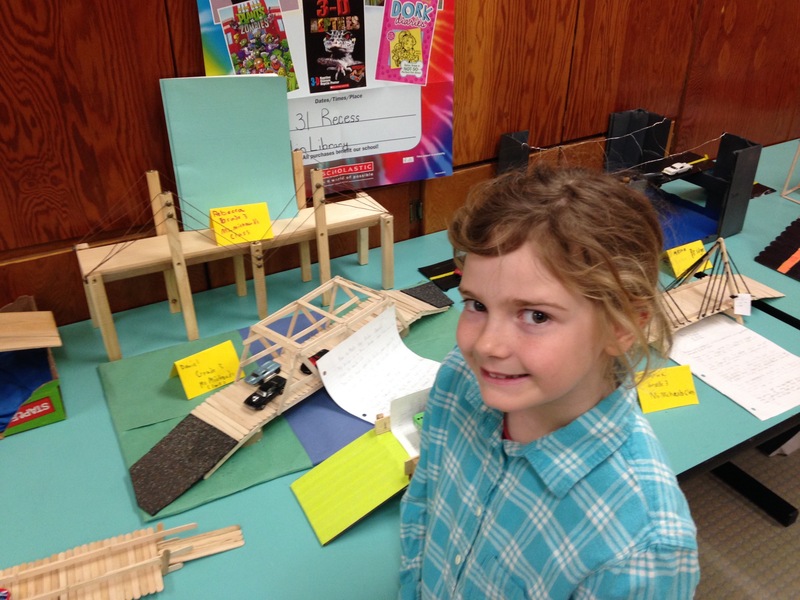 Rebecca was very proud of her bridge project. All of the students had a set activity and 'investigation' where they had to research bridges and then construct one according to a set of requirements. Rebecca's bridge is the tall one in the back. She worked on it herself! (With some help with right angles from her carpenter Mom). 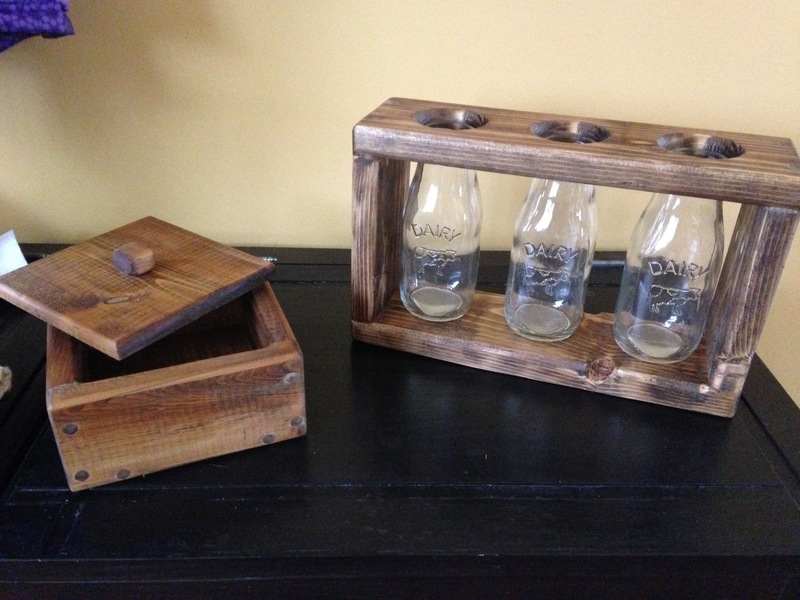 Speaking of carpentry and art work, Sheena has been working hard on a few projects over the past month. These two she donated to a fundraiser for a local family. An auction was held on the items and raised some good amounts! The one on the right is a holder for flowers and the left, a decorative box. 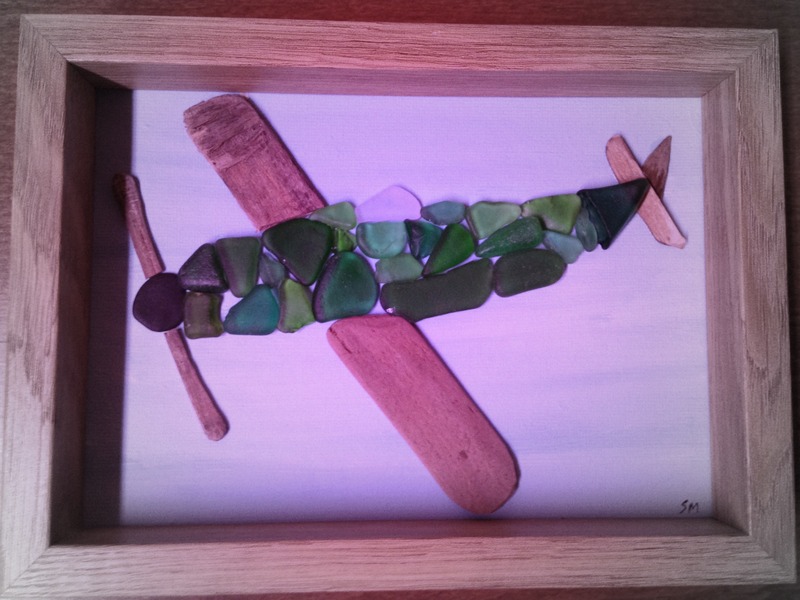 Sheena also had some neat orders for seaglass. 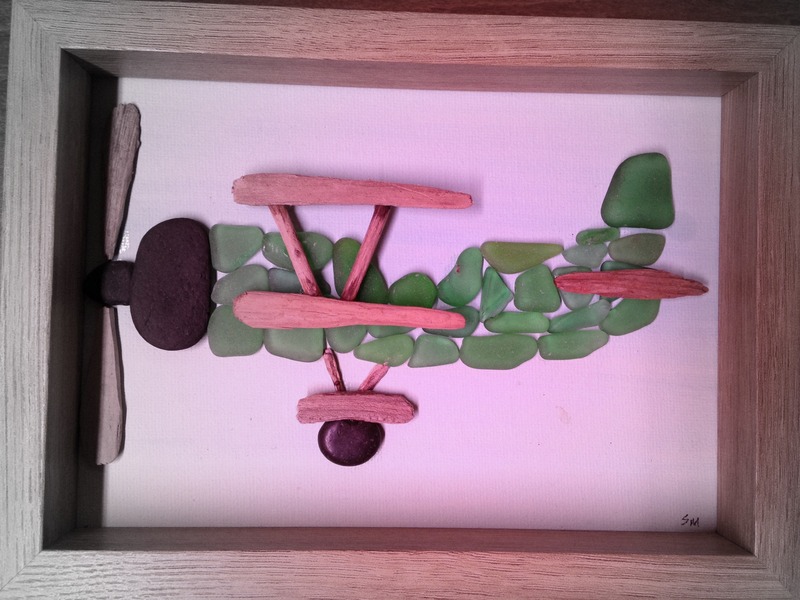 These ones were made for a boy who loves airplanes. 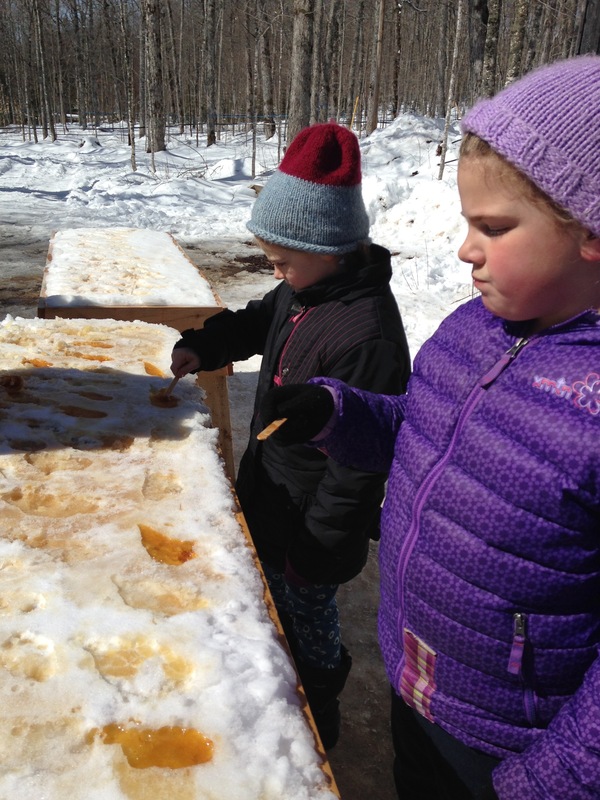 As the photos may look familiar year to year, the girls went to the sugar woods in Moncton and tried their hand at rolling some taffy. Notice the snow in the woods as well! We had a storm earlier that week. 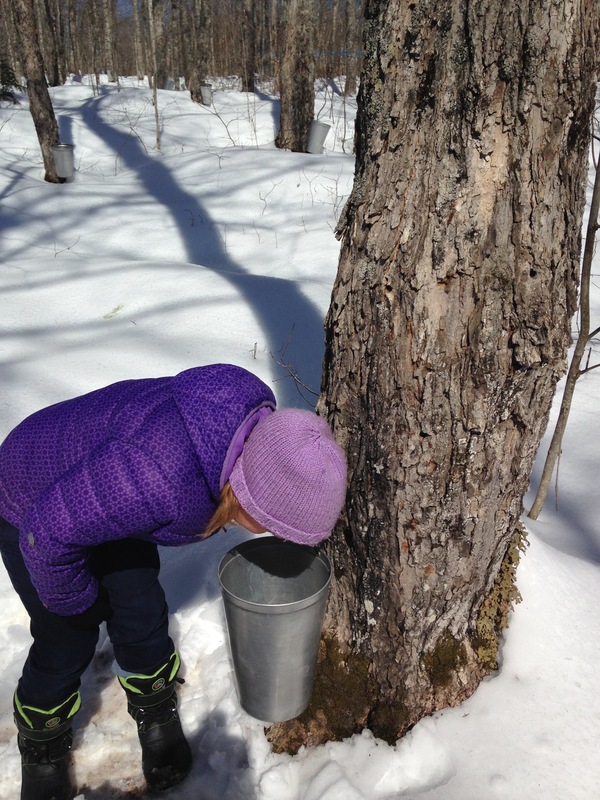 Is there any sap in there? Abby takes a deep look. We were lucky to have some special visitors last week prior to the ice storm. 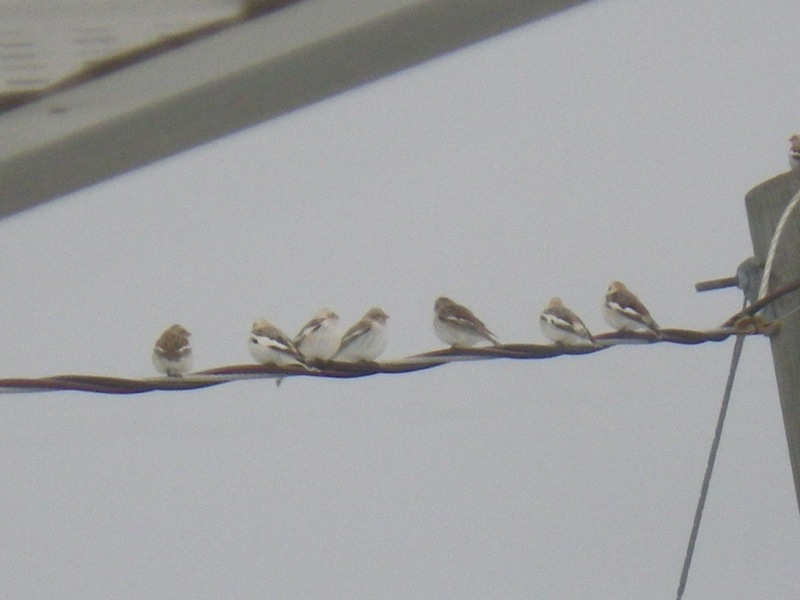 Twenty-six Snow Buntings visited our bird feeder and took turns in a flock at the feeder, on the power lines and flying around. It was neat to see them stick together in their group the whole time. They were here for a couple of days and moved on before the storm. Here's a panoramic photo taken during a hike that Sheena and I went on to a place south east of Sussex, called 'Friar's Nose'. Its a relatively shorter hike, but has a steep climb near the end to a look off toward Poley Mountain and the foothills. Its rare to find such a wide look-off. Sheena visited this area three times this month, once with her friends, another time with the kids and Peggy, and this one with me. There are many hikes in the same area, including one to the popular ice ampitheatre. We've had a milder winter of sorts, which has allowed for earlier activities than most years. The girls have been busy going to school, then after school fitness at the Civic Centre in Sussex. Its a group of kids let by a trainer through fun gym type activities (circuits, obstacles, soccer) and then finishing it off with pool time. The girls love it. Swimming lessons have started up again and both girls seem to be the youngest in each of their classes. That's a good sign for sure!